Find an interesting perspective to shoot from. 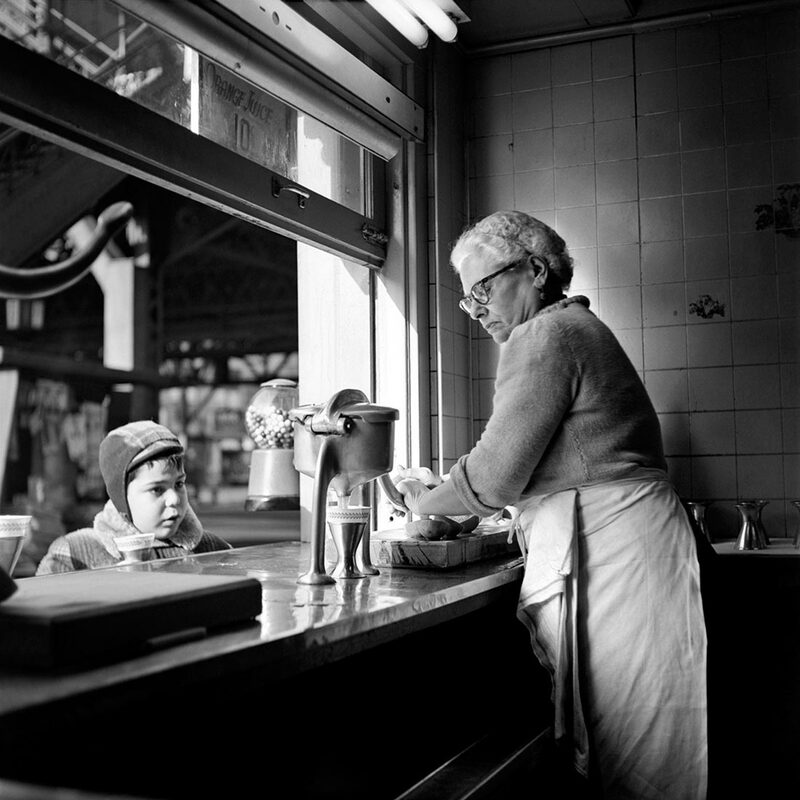 Maier consistently captured her images from unusual perspectives. From above, below, or even breaking the fourth wall and getting behind the subject. The single easiest thing you can do immediately to improve your street photography is to change your perspective. You can read more on this specifically here. In the image above, Maier has managed to capture a painter at work, from a window. Most pictures of window washers and painters are taken from the street, looking up. Something you can see anyday, walking through the CBD. By using another perspective, Maier is able to show how ordinary the painter is, going about his everyday work, despite the unusual location of his workplace. In the above image, Maier has used a combination of both breaking the fourth wall (coming around to the “backstage” area) and framing of the kid to create the image. Again, interest is created by showing a perspective not normally seen by the viewer. It also allows for the face of the kid, contrasting with the woman’s to create further tension. Light and shadow also make a significant contribution. Allow the frame into shot if you are looking out a window to give context. The final image could have been taken in Melbourne! Maier seems to have taken it from a tram or bus, from a slightly elevated perspective. Could have been taken from the Melbourne free tourist tram as it goes past Parliament House? On both this image and top image of the painter, Maier has included an artifact from the natural frame she was shooting through. For the painter, it gives conext around where he is and what he is doing. It also obscures what he is looking at and painting, forcing the viewer’s mind to make the connection to “complete” the image story. In the image of the woman directly above, a feeling of being in motion is derived from the frame being in shot. 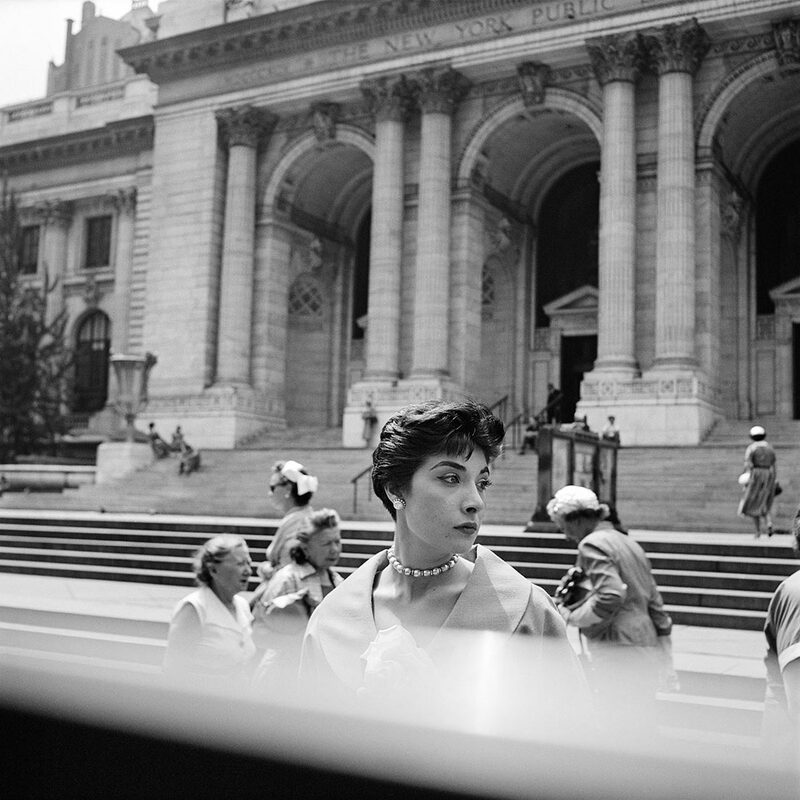 Maier feels to be moving towards the left of frame, whilst the woman is looking to left of the frame. Including the frame in the shot gives context – Maier is in a tram or other vehicle, looking out – and suggest the movement. The woman is also planted on the spot for this particular moment in time. The parallel lines of the stairs at building front accentuate this effect. The women moving left and right immediately in the background also highlight her fixed position. Both foreground and background to the woman are in motion.